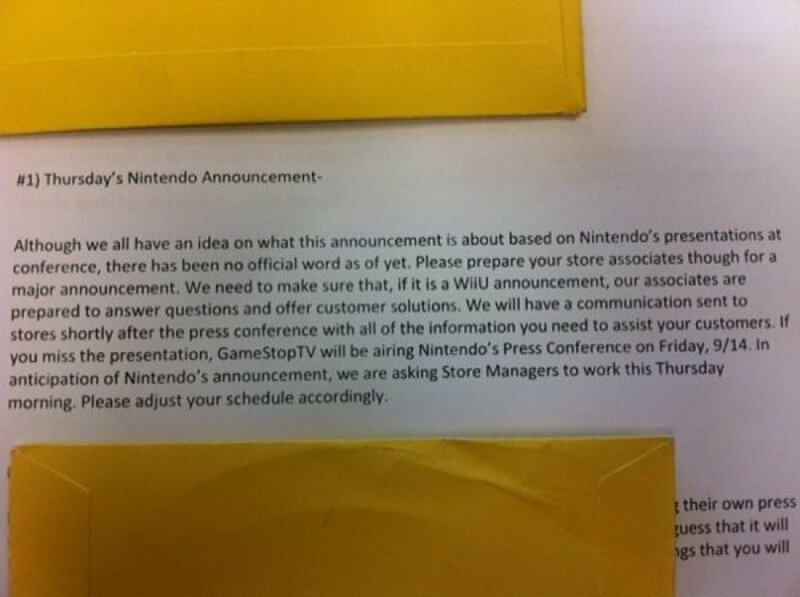 We all know that Thursday's presentation is going to be related to the Wii U, with the most likely scenario being a launch date reveal and pricing details. 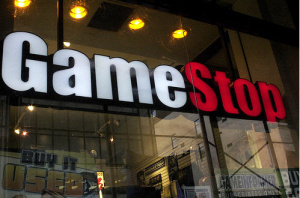 To add a little more spice to this speculation, GoNintendo has reported that several readers have gotten in touch to report on various goings-on at American retailer GameStop. Sorry if I'm being ignorant... what bundles? What do they include? Im wondering the same thing, also will it be available in black? I am all for the Wii U and can not wait till it comes out !!!!!!!!!!!!!!! Well if game Gamestop will have it to preorder than that means that Amazon will too and thats where I will go. So it is available in black then? what come with the 350 bundle? If this thing is actually confirmed to be $249.99, I'll jump so high with excitement, I'll have to use the money that was originally going toward the Wii U to repair the ceiling to my house. @Tasuki Unlikely, as Amazon isn't carrying any Nintendo hardware right now. The Wii, 3DS, and 3DS XL are all only available through third party sellers. I'll probably head out to GS on my lunch break to see if they're taking preorders. I guess the post-conference communication to store managers is to discuss the pre-order bonus and how they'll avoid actually giving it to people who pre-order. "isn't totally certain of what Thursday will being,"
I think you mean - "what Thursday will bring". Guess we're all a bit on the edge of our seats. I mean, it's a console launch, so limited inventory is to be expected, but the "very" part doesn't bode well at all. Thursdayton! Preorder it too?! Seems a bit ridiculous to me, but cool if true. 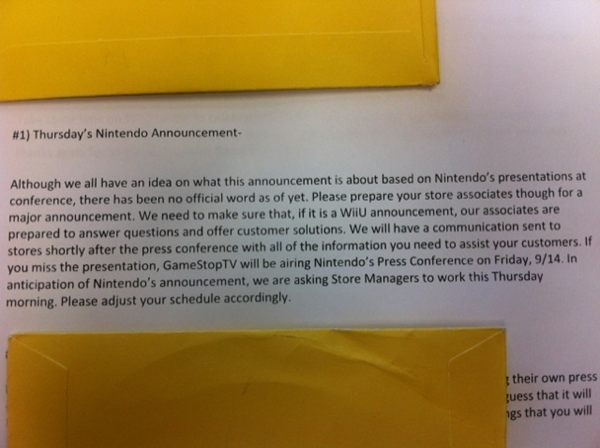 If this turns out to be true with the prices of Wii U , then I'm going after the $249 bundle. "Quantities will be very limited." I guess I will pre-order day 1. If this is true, then I am definitely going for the biggest bundle, apparently the $350. That actually sounds like a marketing strategy: tell everyone the quantities are very limited so everyone will be preordering ASAP for fear of not getting one at launch. The date and the 3 bundles and the prices sound an awful lot like the rumours we have already heard, so I won't believe a word until Nintendo says the real thing. I'm hoping for NSMBU bundle, NintendoLand Bundle, Pikmin 3 bundle. I'm REALLY hoping NintendoLand is included with every bundle. @abINC4L I really only want NintendoLand in all bundles because (like Wii Sports) it'll give me something to play until I get the cash to actually purchase another Wii U game. Going in bright & early Thursday morning to reserve, well, SOMETHING! Have to wait until I findout what news comes out of New York brighter & earlier Thursday. Whatever the case, I plan to make out like a FluttershyGuyBANDIT on Thursday; with a black Wii U, Pro Controller, and New Super Mario Bros. U reserved. I'm guessing that the $250 bundle is just the system. @3Dash You're not being ignorant, or at least we all are, there is a rumor that there are 3 bundles: 250, 300, 350 US Dollars, and there's a lot of speculation about it, some say the most expensive one carries the game console, 2 gamepads (1 and a wiimote+nunchuck according to some) , controller pro, and a game. I guess we'll have to wait and see. @rebonack: Oh Amazon will carry it. When they first announced the Star Wars Xbox 360 I went on Amazon and putted in a preorder for that within hours of the announcement. It will be the same with the Wii U. @Tasuki Typically you're right — their preorders go up almost immediately after something is announced. But at some point in the last year Amazon stopped carrying Nintendo hardware — you couldn't preorder the 3DS XL from them (and you still can't order it directly from Amazon, same with the original 3DS, Wii, and current DS models) and I think there's a good chance the same will be true of the Wii U. I hope I'm wrong, as I'd much rather just preorder it from them, but being that they haven't carried Nintendo hardware for a little while now, it's a good possibility. @rebonack: Wow that sux I hope you are wrong if not I will probably preorder it from Newegg.com then no way in hell will I deal with Gamestop. I have no idea if or how I'm going to pre-order it. Both Gamestops are in th next town over and the only places around here are Walmart and Fredmeyer. I don't drive either so that makes it that much harder. I really hope Amazon starts carrying Nintendo stuff again. "Quantities will be very limited"
Not again! Shoot me now. Please. Thanks. Tomorrow, the veil is lift. Wii bundles leaked here first! So we Brits can expect bundles between £250-£400. $300: Console, Gamepad, Nintendo Land, Wiimote+, Nunchuck. $350: Console, Gamepad, Nintendo Land, 2 Wiimot+, 2 Nunchucks, New Super Mario Bros. U. I hope rofl. @sinalefa Well I guess I learned something today. I didn't really think of telling people that their are limited quantities as a marketing strategy. But If what they said is true about it being limited, there's gonna be crazy, over-dramatic comments. I won the bet! LOL! The roumor reported earlier was Nov11th by the “analysts” and I stuck with Nov 18th A dude at GameStop even “let me in on a secret” last week and said it was going to be Nov 14 (WTF?). FAIL! LOL! I did think a second gamepad would be included with the deluxe. But did see Nintendo land included. 3/4 right. Meh! LOL! Just an example of paying attention to history to predict the future!